On Thursday 29th April Amnesty members attended this important film at York Picturehouse. 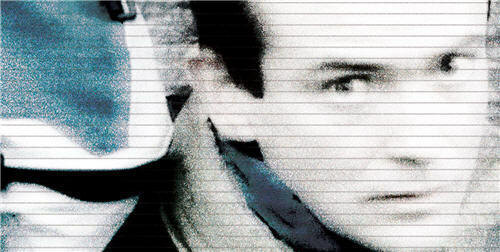 ERASING DAVID is a feature documentary about privacy and surveillance in the UK. Director David Bond went on the run for a month and hired the best two private investigators in the UK to track him down using his personal data. The film is a riveting exposé of our digital age that plays like a Hitchcockian thriller – both chilling and very funny. Michael Nyman provided the music. 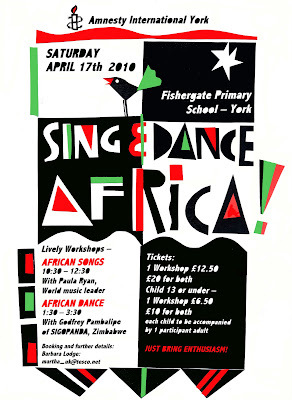 Our Africa-inspired day of lively worshops in song & dance was a huge success, raising nearly £600 for Amnesty! Thank you to Barbara for organising it, and to everyone who helped or came along to sing & dance.